When you market your handcrafted jewelry, your unique style is your best edge over the jewelry maker in the next booth. Okay, lets back up here. In all likelihood, you're an online jewelry seller. A virtual vendor. You've probably never done time in an arts and craft booth. Also, I really shouldn't say unique when what I mean to say is Bad A***. Yes, you should take pride in your meticulous precision. And yes, you should brag about your quality materials. You should sell in the finest venues and list on highly-traveled websites. You should try your best to do everything right, but doing everything right, doesn't guarantee sales. Quality, precision, and venues are important, but they're meaningless if you make the same jewelry everyone else does. My goal is to help you develop the bad a*** diva jewelry-making attitude you need to rise above sameness. These five tips will help. If you don't have a favorite jewelry technique (or if you're not very good at the one you're committed to) don't worry. You can change that. Choose a skill you can see yourself doing. If that skill doesn't work out, try another. 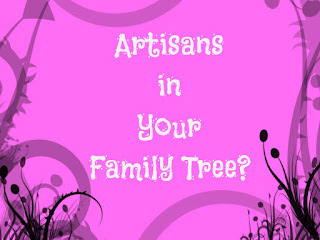 In fact, dabble here, experiment there until you figure out what your crafty hands can do. 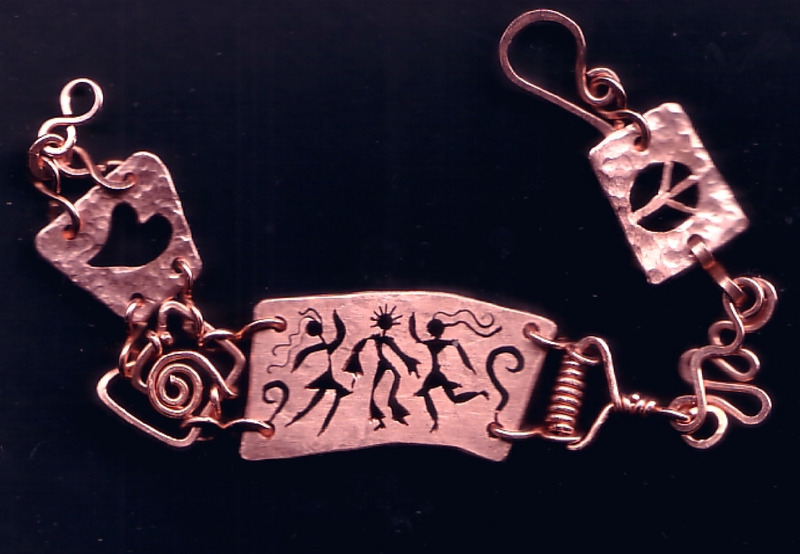 Experiment with Precious Metal Clay. Work with feathers. Feathers? Yes, feathers. Eventually, you'll find your thing. It will call to you in the middle of the night. It will push you to make jewelry all day long. Plus you'll be good at. Your creative juices will burn and flow and you’ll get anxious. You’ll want to skip your day job to create jewelry 24/7, but don’t do it! Once you’ve found your thing--the thing that inspires you--practice, practice, practice! If it feels comfortable and right, buy some quality equipment. Get the perfect materials and practice, practice, practice some more. Work your fingers. Practice every day until it feels natural. Let's back up a minute here. I have to be honest. The skill that you choose might not feel comfortable and right at first. It might feel downright uncomfortable. But that's your brain trying to wrap itself around the new experiences you're creating. I've taught enough people to know that if you really want to learn a jewelry skill you'll work through this tough learning process. If you don't care, you won't. It's okay to borrow someone else's style, but don't forget to give it back. Do DIY projects. 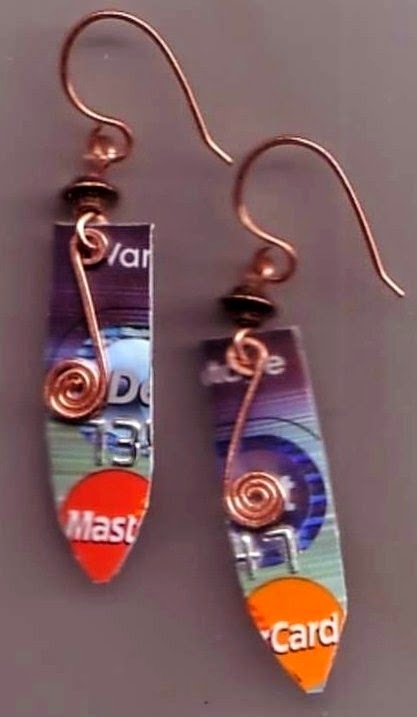 Look at jewelry on Pinterest or Etsy. Figure out how the maker executed each twist or turn or fold, but use these exercises as learning experiences only. Take what you see and interpret the movements in your own way. Figure out new ways to use what you learn from others. If wirework is your thing, create a signature twist. If you do metalwork, mix it up. 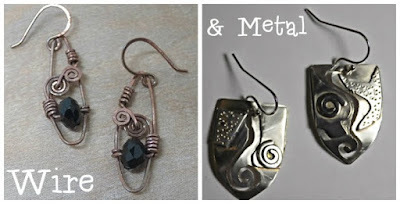 Try fusing sterling silver to copper and copper to brass. Get creative with shapes. Don't make circles or ovals or squares. Create unique shapes you've never seen before. Do the weird or odd or funky things other jewelry artists don't, won’t or can’t do. Little Bo Peep has sheep. Harry Potter has Magic. Yogi Bear has pic-a-nic baskets. (Yogi Bear? That might be too old school for you) Anyway, the most memorable persons and personalities have themes you can’t forget. Your jewelry making theme can do the same thing for you. 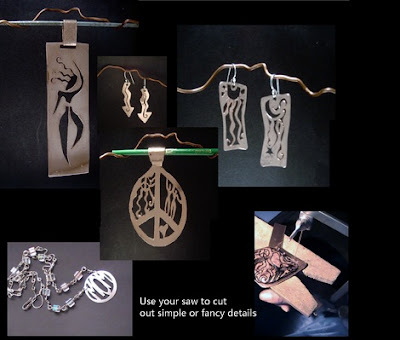 Your theme will put your jewelry making on a distinctive path. It can also give you an ongoing body of ideas and help you target a specific market. Great jewelry is all about doing what you love. If you love angels, make the best dang angel jewelry in town. If fantasy is your calling, make every piece a wearable fantasy. Create jewelry using your personal theme, whether it's stars or hearts or puppy dogs. 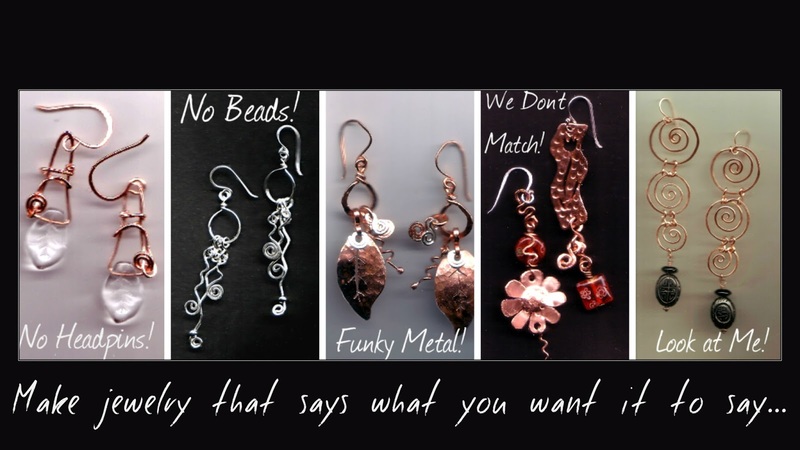 Let people know what you're doing and why; and customers will come looking for that jewelry maker who creates exactly what they're looking for. If you've been making jewelry for a while, you've probably already figured out that sitting down to make jewelry doesn’t mean great ideas will follow. In fact, when you're under pressure to create for an art event or to fill your empty online store, your creativity is likely to taunt you with one bad idea after another. Jewelry ideas and inspiration don't come because you need them. They strike when you're driving down the street, eating dinner or even when you're fast asleep. Your job as a jewelry designer extraordinaire is to capture the ideas as they arrive. Your design diary can be a little book or big notepad. It's not about the book, it's what you do with it. 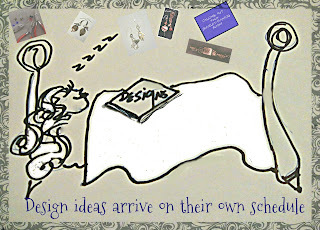 Write down your jewelry making design idea. Draw a sketch. Add notes on color and texture and beads. You’ll have a book of ideas to nudge you the next time creative block makes an appearance. These are just a few of the concepts I figured out over my many years of creating and selling jewelry and teaching others to do the same. 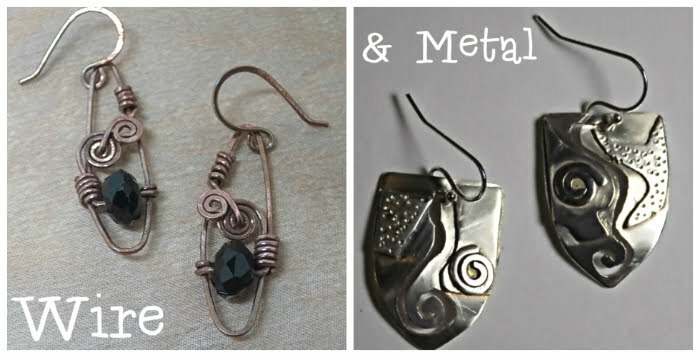 You'll find these and other Funky ideas in my ebook, "Wire Jewelry Make It Funky!"